Alec Bradley's exclusive release to retail members of the Tobacconists' Association of America is rolling out now. 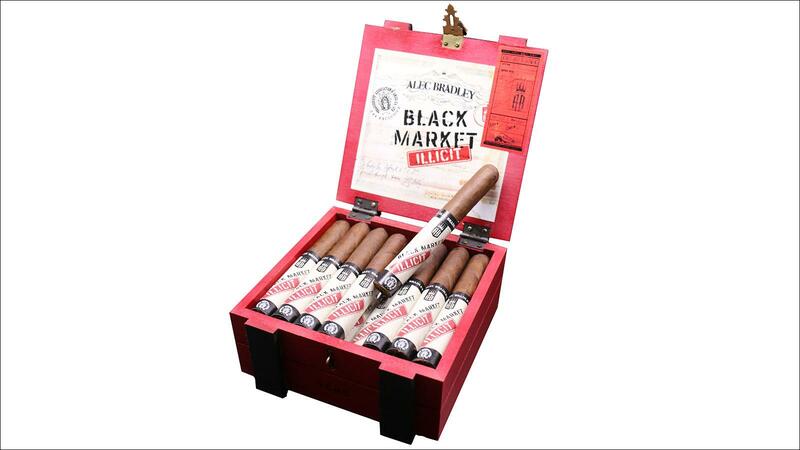 According to the Florida-based company, the new Black Market Illicit is a medium- to full-bodied cigar featuring a stronger blend of tobaccos than those used in the mainstay Black Market brand. Illicit measures 6 inches by 50 ring gauge and uses wrapper leaf from Nicaragua, Honduran and Nicaraguan binders, and Nicaraguan filler. Notably, the blend forgoes the Panamanian and Ecuadoran tobaccos found in the original Black Market blend. The single-size release will come in 22-count boxes and retail for $8.75 per cigar. Illicit debuted at the 49th annual meeting of the Tobacconists' Association of America in March. The Black Market brand also added a regular-production line extension called Black Market Estelí at the IPCPR trade show last month.